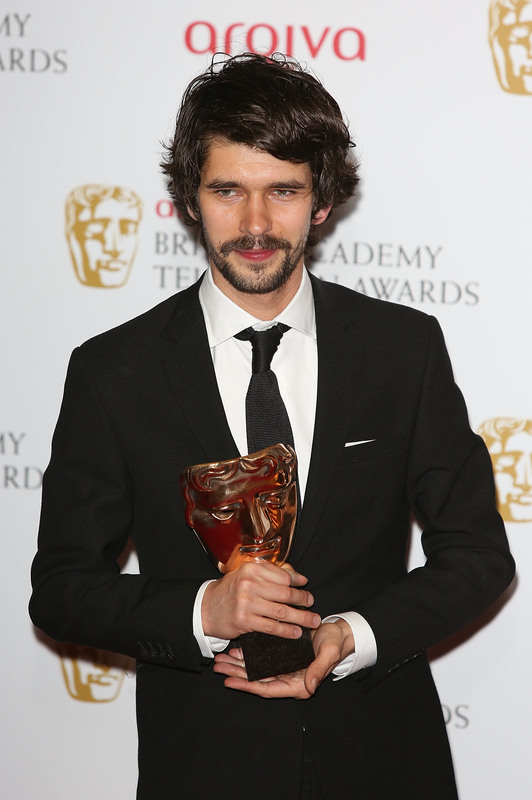 It's official: According to Deadline, Ben Whishaw is officially set to portray legendary rocker Freddie Mercury in an upcoming biopic directed by Sunshine on Leith helmer Dexter Fletcher. You may remember this as the project that Sacha Baron Cohen dropped out of a few months ago, citing "creative differences" as the reason for his parting from the project (The Guardian reports that the band members didn't want the movie to be a "joke.") While it was slightly sad to see Cohen go, news quickly broke that the remaining members of Queen, according to drummer Roger Taylor, favored The Hour star Ben Whishaw to play the band's late frontman — leading to speculation that an announcement about Whishaw joining the project could soon follow. According to The Guardian, the film is going to be a serious, in-depth look at Mercury's life, from his formative years to the mid-eighties when Queen headlined Live Aid in 1985. It reportedly won't touch upon any aspects of his life regarding his death — Mercury died in 1991 of bronchopneumonia, which was brought on by AIDs. In addition to Fletcher, the film boasts a hefty list of producers, as well: Robert De Niro, Graham King and Jane Rosenthal are reportedly all on board to produce the flick, and it's expected to go into production in 2014.